Trips to Greece offer a balanced mix of sea, nature and visits to places where the most famous and fascinating parts of Western civilization originated. Travels in Greece are a constant discovery and can be easily discovered from any travel news. The best way to enjoy Greece is given by a careful balance between a cultural visit to an archaeological site or a museum of art and history and a pleasant seaside interval or a stop in a typical drinking ouzo, while the ancient gods, from ‘high Olympus, look at you smiling. Destination for many trips, Greece certainly has a wide range of attractions to offer. The beauty of this country is very well known, which is why the place flourishes with tourists all year round, but especially during summer. As of late, though, there has been quite an uproar on the streets of the main cities. Due to the country’s enormous debt, the government has been trying to apply some new regulations in order to clear said debt. However these regulations take a great toll on the lives of the civilians, who feel they are being robbed blind. Therefore there has been a lot of turmoil in the streets due to strikes organised by syndicates and other political parties. One of the main problems travelers might face when visiting Greece at this time is regular strikes of the public means of transportation. In other words they will have a hard time getting around, and that applies to even those who rent cars for their stay. Steering clear of the main city streets would be a good idea since more often than we like to admit demonstrators block the streets as a form of complaint towards the government. As you can guess this always leads to unpleasant traffic jams. In fact you can avoid the whole upset by visiting an island, where people will be less tense and it will be easier for you to experience greek culture in a more relaxed environment. A must-see when traveling in Greece, not only for those who want to appreciate the natural beauty of the country but also deepen their knowledge of Greek mythology and history is certainly the island of Crete. Here, between the sun and golden beaches, you can start to discover the ancient Minoan civilization, visiting the Palace and the Labyrinth of King Minos at Knossos, or, in Matala, you can enter the fascinating caves dating back to Neolithic times. If however after all that you still insist on staying in Athens and are keen on experiencing current history deciding events, then staying at a hotel near the center of the capital, Syntagma is the place to be. The civilians are very frustrated over the state of crisis the country is in right now and may even open up to strangers. You may even get to feel their struggle if you choose to join them during one of their strikes. In general terms it would be wise to think ahead if you’re planning a trip to Greece at this time. 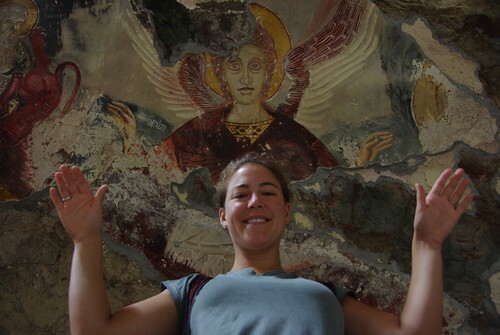 Author: Elsi Hasanaj lives in Greece and writes for Trip and Travel Blog. Elsi loves the sea and looks for trips on the open water. He’s been to Mexico, Norway and Scotland. You can find Trip and Travel Blog on Twitter or Facebook. Today is the Jewish holiday of Rosh Hashana. It is our new year and one of the holiest days of the year. It is the day we take a moment, reflect on the events of the last year, and spend some time reflecting inwards. It is a spiritual holiday and one of growth and regeneration. Current events couldn’t seem farther away from the description I just gave. Right now Israel is in a state of panic with the recent events in the Middle East and the Palestinian Authority is using this as an opportunity to seek statehood at the UN. It is hectic, and peace seems farther and farther away. When we were in the Sinai Desert we sat one evening speaking to a Bedouin man who, not knowing we were Jewish, shared with us that he couldn’t understand the problems between Israel and it’s neighbors. He told us he felt the Israelis were his cousins, if not his brothers. This was the sentiment we felt throughout the Middle East and one of the reasons we felt so comfortable there. Despite the headlines and the extremists, most people want the same thing…peace. On this day of spiritual growth we will pause to reflect on our experiences in the Middle East and how we might help to educate our friends and neighbors in our new community. The reason there is trouble there is that everyone wants the same chunk of land and everyone seems to have forgotten how to share. For decades the Berlin Wall stood as a symbol of separation for Germany. The site of many attrocities throughout the years, the Berlin Wall separated families, friends and colleagues not only by concrete but also stood as a separation of haves and have nots. Today the Berlin Wall stands as a monument against the hatred and political mistrust that it once represented. Fractions of the wall stlll remain today scattered across the city, attracting tourists and locals alike. 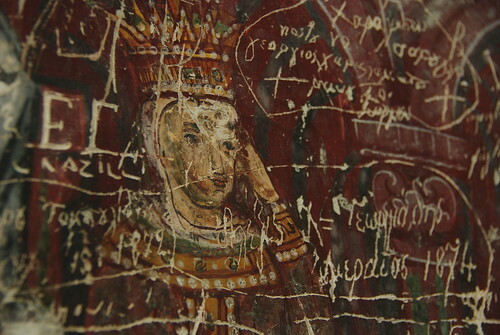 In many places, the wall is heavily decorated with graffiti. In others it’s been made into a work of art, like this one below. I love this photo because to me it represents the reclamation of Berlin. Today the city is completely unified, in economy and in spirit and thrives as a vibrant center of the arts. We loved Berlin, in fact it is one of our favorite places in all of Europe. IF YOU GO: Don’t miss the museums and culture in Berlin, even if you’re not a history buff you’ll appreciate what Berlin has to offer. We loved tooling around the city on bike and spent our evenings relaxing in the park. There’s a wide range of accomodation from Berlin apartments to hostels and hotels. It’s easy to get around the country, we used a ride sharing website, which unfortunately is difficult to navigate if you don’t speak German, but if you get to the right listings, there are many in English. 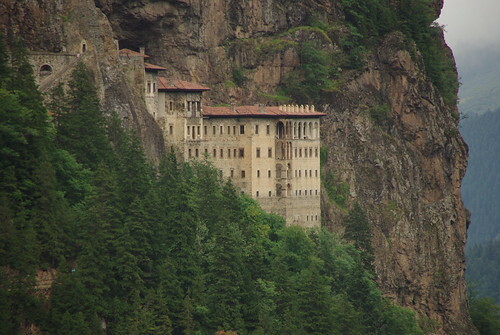 The Sumela Monastery hangs precariously on a steep cliff an hour north of Trabazon, Turkey. 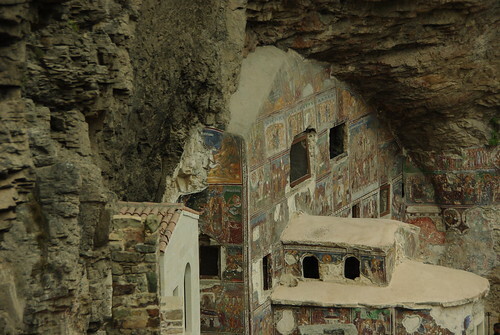 Founded in 386, the monastery, like everything in Turkey, has a long and complicated history. Built by Greek monks who found an icon of the Virgin Mary in a nearby cave, the monastery has fallen into run several times over it’s history. As you can probably guess, relations between Turkish Sulans and the Greek Orthodox Church haven’t always been the greatest. For a long time the monastery functioned under a special pass from the Sultan. 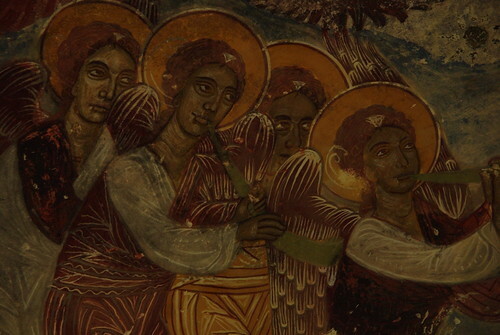 Early in the 20th Century, the region was occupied by the Russians, who seized the monastery. Population exchanges between Turkey and Greece in the 1920s resulted in forced abandonment of the site. Today the monastery still holds an important place in the Greek Orthodox Church. In 2010 the first divine liturgy in decades was held on site, an indication of the warming relations between Turkey and Greece.